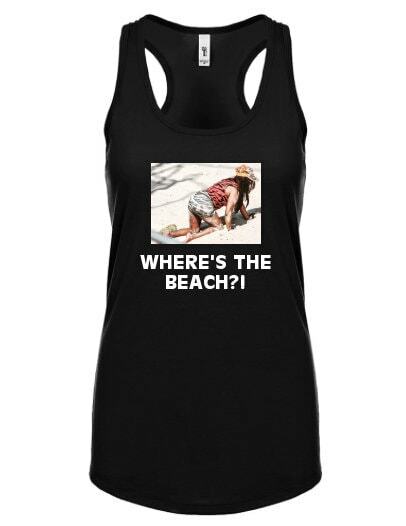 As Requested, here is our tank top version of WHERE'S THE BEACH?! Awesome tank! Runs a little small, but absolutely the best!! My gf loved this shirt!